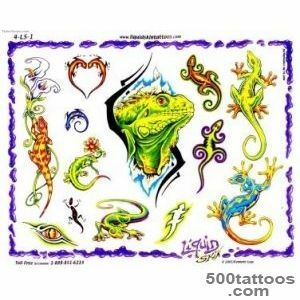 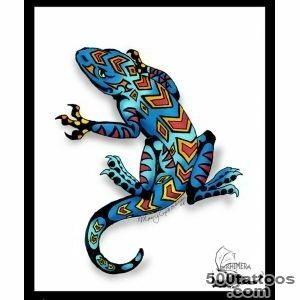 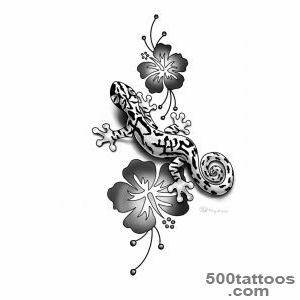 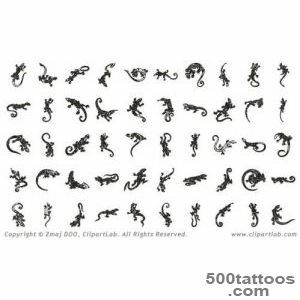 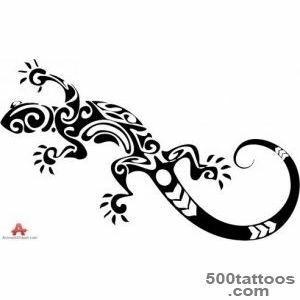 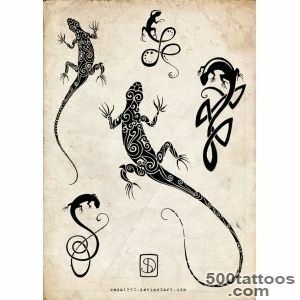 Tattoo lizard - a favorite of the younger generation tattoo. 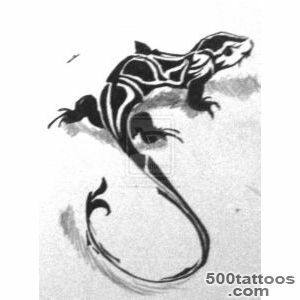 Although this figure is very familiar to most since ancient times. 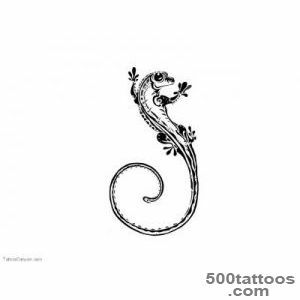 The most common pattern is depicted in the form of the letter «S» of the Latin alphabet, but there are many other interpretations of the images. 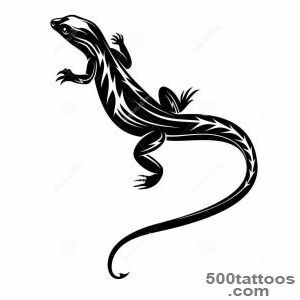 Once it belonged to the elements of the moon and water, talking about speed and agility,tricks and elusiveness. 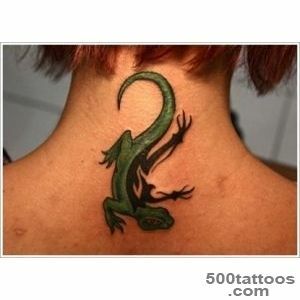 In the history of the different cults lizard acted as a symbol of prosperity, and the supporters of the devil. 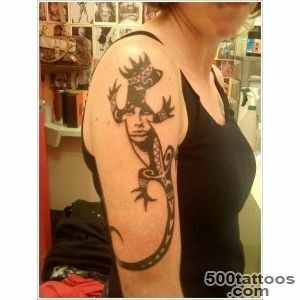 Speaking of antiquity, then the lizard was the embodiment of wisdom. 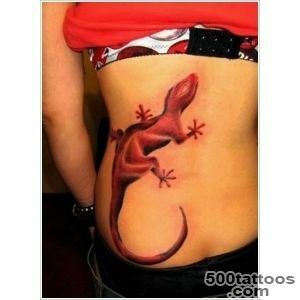 This creature can not find a way out of the trickiest situations. 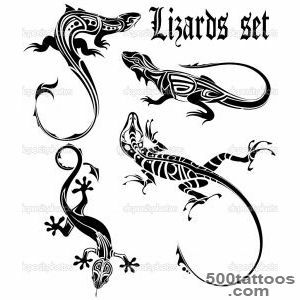 It would seem - everything lizard cornered, in fact, you and the eye does not have time to blink,it uliznёt with incredible speed. 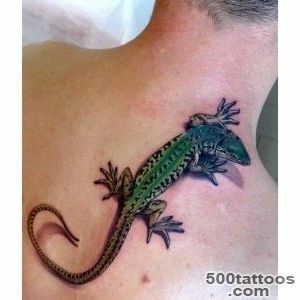 Maori tribes said that green lizard symbolize demonic forces, although sometimes this image could scare away evil, so indigenous New Zealanders perceive as the strongest talisman tattoo, calling it a demon patron. 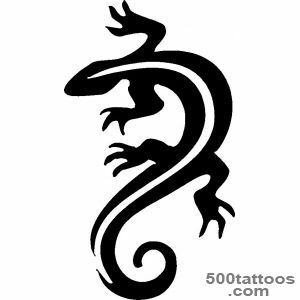 The ancient Greeks associated lizards with Mercury - god of rhetoric and trade.It is also associated with an allegorical interpretation of logic. 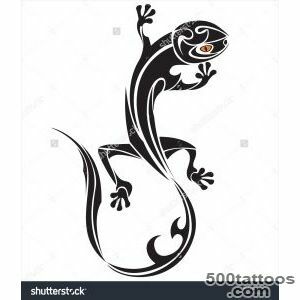 In the Australian folklore it is called generic characters, so the image of this reptile is often mentioned in legends and fairy tales. 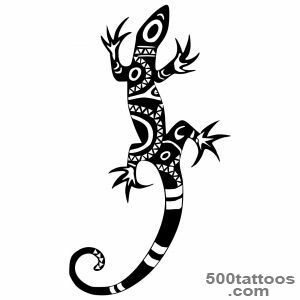 Some South American tribes believe lizard symbol of sexuality and fertility. 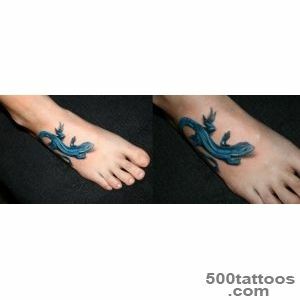 It acts as the patron of rain - the water element of the sky,as it symbolizes growth and development. 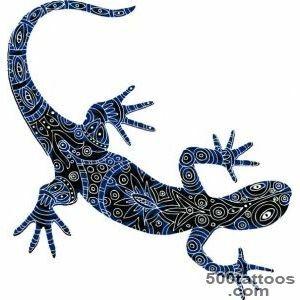 In the past, Slavs relied on the protective properties of lizards, so you can find the image of flake in fairy tales as a faithful assistant, who warned about the poor, could save man. 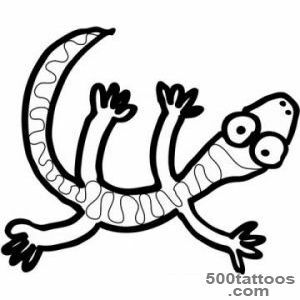 Residents of the Ural Mountains lizards believed the spirits of Copper Mountain. 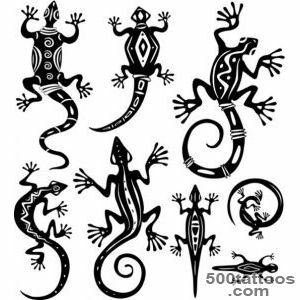 In ancient Rome, it symbolized rebirth after death.In the Christian faith, lizards and snakes are associated with the devil and evil, and the Australians consider it a symbol of marital unhappiness and infidelity. 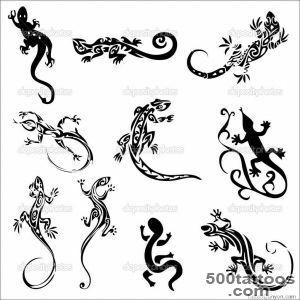 Quite often, lizard tattoo is applied to expressions of revival or nimble as a lizard can regenerate. 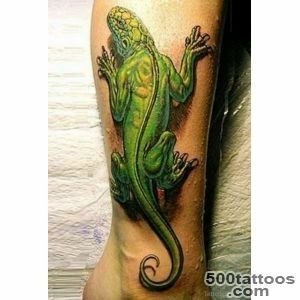 This can be seen,when the reptile discards parts of the body at the moment of danger, but later they grow again. 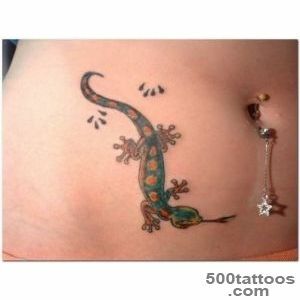 Also, they can do it, when they begin to grow old, which implies an identification badge with degeneration. 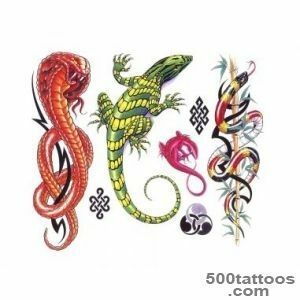 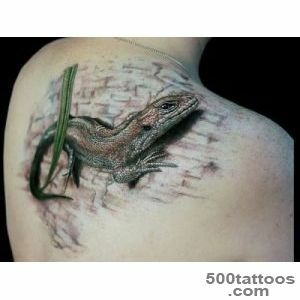 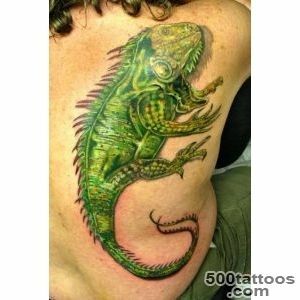 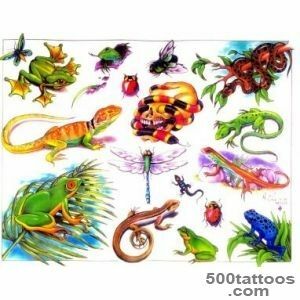 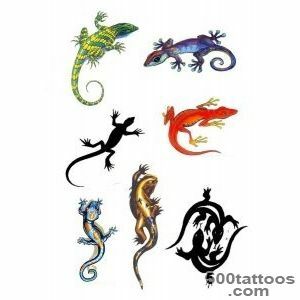 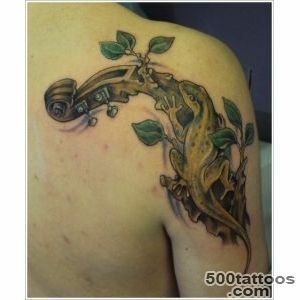 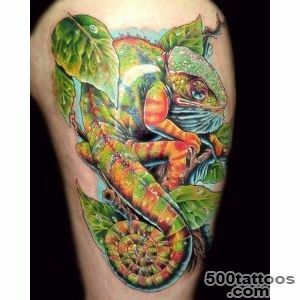 Tattoo with the image of a lizard is also popular because it can be done in bright colors : green, brown, black, Emerald and so on. 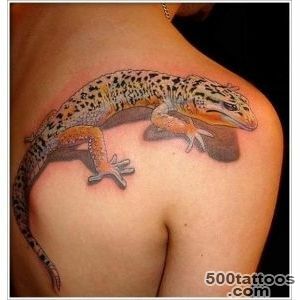 D. In the body, it takes a minimum of space and looks very stylish. 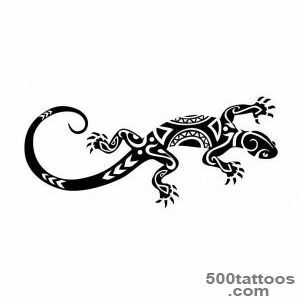 They can be amulets, helping the person to find the strength to grow and deal with difficulties. 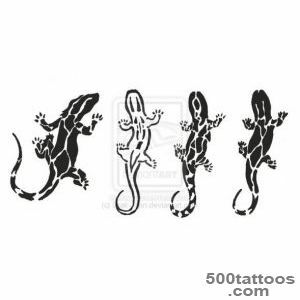 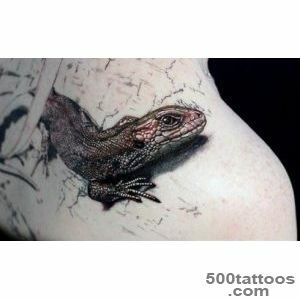 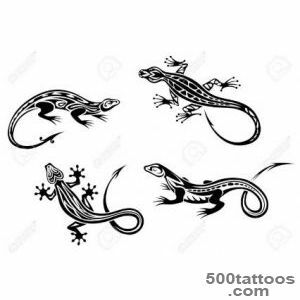 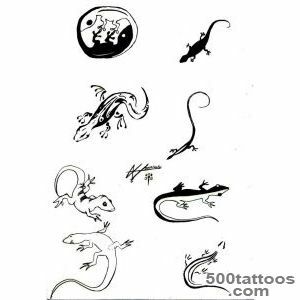 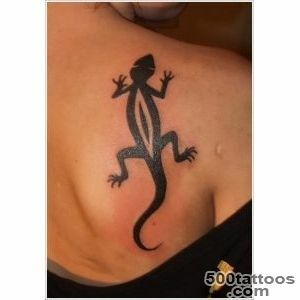 The most popular species of lizards in the form of tattoos can be called drawings monitor lizard and the chameleon. 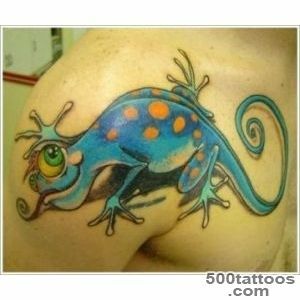 Chameleon habitually considered a symbol of originality, adaptation,diversity, willfulness and eccentricity. 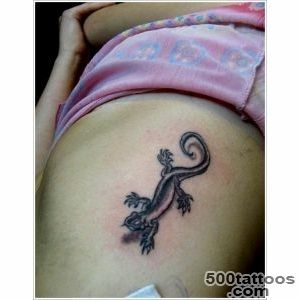 Meaning tattoo also expressed her creativity, flexibility, fluidity and extravagance. 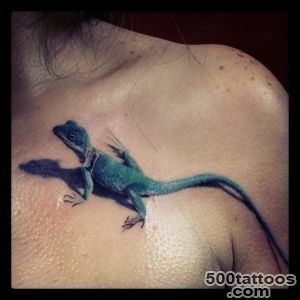 Previously, she was associated with the element of air, some people thought that it exists because of the wind. 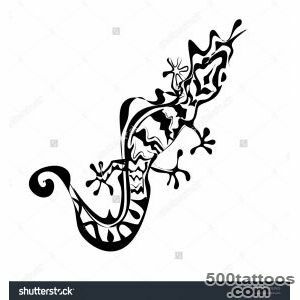 The chameleon among the people considered to be symbols of unscrupulous people who are amenable to manipulation,and they rapidly adjust your feedback to someone else. 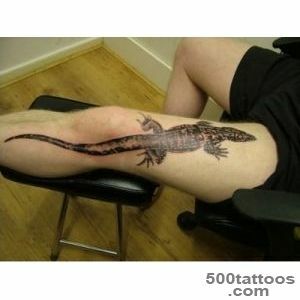 Monitor lizards are different from other relatives of the large size, they can be associated with misery and misfortune. 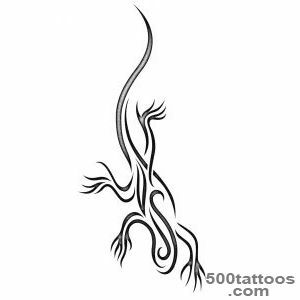 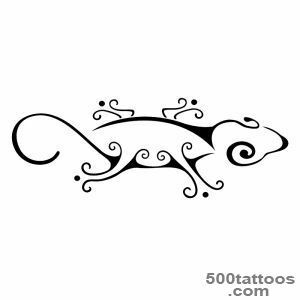 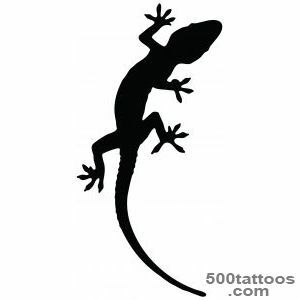 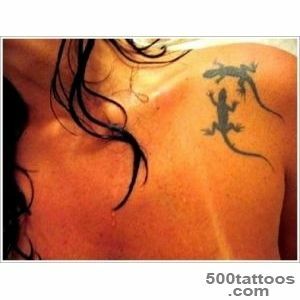 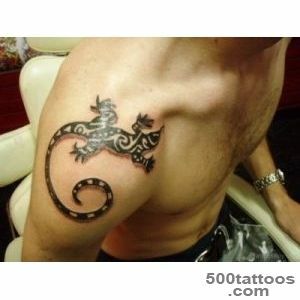 Now lizard tattoo means security, speaks of observation and patience, the internal closure and composure, strength and peace.